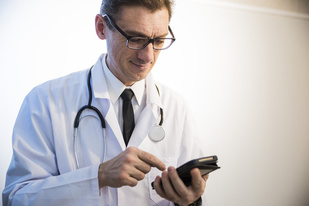 Mobile text messages are used commonly all over the world, and you can leverage it as a marketing tool for your healthcare practice. However, it is critical to use text promotions in the most effective way possible to maximize outcomes. Read on for nine essential tips on how to run a successful text marketing campaign. Through the integration of your CRM (Customer Relationship Management) system with the messaging platform. Focusing on demographics and search history of the audience. Tracking of campaigns using texts that receive more attention from viewers. For a message to hit the mark, it should be able to engage the recipient in a short time. This is achieved with brief messages that concisely express the key points, with a call to action or link included. One timely message can achieve more for your practice than multiple ill-timed ones. The message you send should target the appropriate time slot for the client and also provide enough leeway to act on the text. For example, dinner coupons may be sent around 7 p.m., allowing sufficient time for a diner to use one. As you send messages, you will find there is a golden period for your particular business when you will note maximum clicks and customer engagement. Look out for these time slots and time your messages accordingly. A frequent buyer can sometimes be sent messages related to his or her previous choice. The viewer of your messages should never feel railroaded into choosing your product or service. The decision to opt for your texts is one that lies with the client, and a definite informed consent must be asked for before you begin sending any texts. This can be done with a clearly worded link or message asking for the subscriber’s permission to send further messages. This protects you from legal complications by ensuring that you have the receiver’s explicit consent. Mention opportunities to avail greater benefit on opting-in for a text subscription. For example, an extra 10% off on signing up for texts. It is essential to provide an unsubscribe option at every step of text marketing to allow users to leave at any time they wish to. This may seem detrimental to business, but an upfront unsubscribe policy tells the user that you value their time. Additionally, a user who is not interested in your healthcare services or products is not likely to contribute to your business in any way, and so the loss of such a client may not be very adverse. It is critical to make sure that the landing page that your marketing link leads to is mobile-friendly. Landing pages that do not work on mobile can put off your client from engaging with your campaign. You need to measure your success by tracking and measuring the response to your text marketing campaign. Analyze the statistics obtained and use it to modify your marketing for maximum efficacy. Use these tips to super-charge your text marketing campaign and attain the target results you desire!